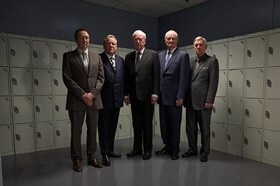 A caper based on the unbelievable true story, of the retired crooks who pulled off The Hatton Garden jewellery heist of 2015, one of the biggest robberies in British history. 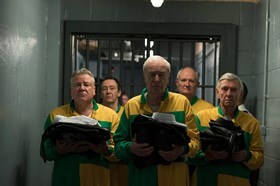 A Oceans Eleven scale spectacle, Michael Caine leads a pedigree cast of British stars as Charlie Cox, Jim Broadbent, Ray Winstone, Tom Courtenay, Paul Whitehouse, and Michael Gambon. From the producers of Legend, The King of Thieves is a heist movie with Hollywood stakes and an east end charm.